Bach Company | Product Detail | Maxell's alkaline batteries provide unrivaled value and superior use. You can depend on these batteries to power your emergency flashlight, your chargers, or even your smoke alarm. Maxell batteries provide long-lasting, reliable power. Generally sold in boxes of 6 10-packs. 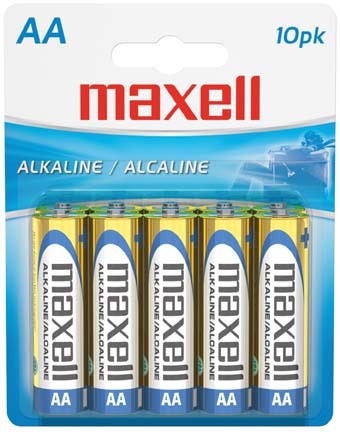 Maxell's alkaline batteries provide unrivaled value and superior use. You can depend on these batteries to power your emergency flashlight, your chargers, or even your smoke alarm. Maxell batteries provide long-lasting, reliable power. Copyright © The Bach Company | www.bachcompany.com All Rights Reserved.